FBSC is known for its Oshawa Remembers audio recordings of World War Two and Korean War veteran stories, and the re-creation of Victory Gardens. Each of these projects demonstrates how local history is a community asset and a cornerstone of any sustainable community. The sharing of the stories for free is a central tenet of the projects. They are part of the digital commons that bind our community through the generations. 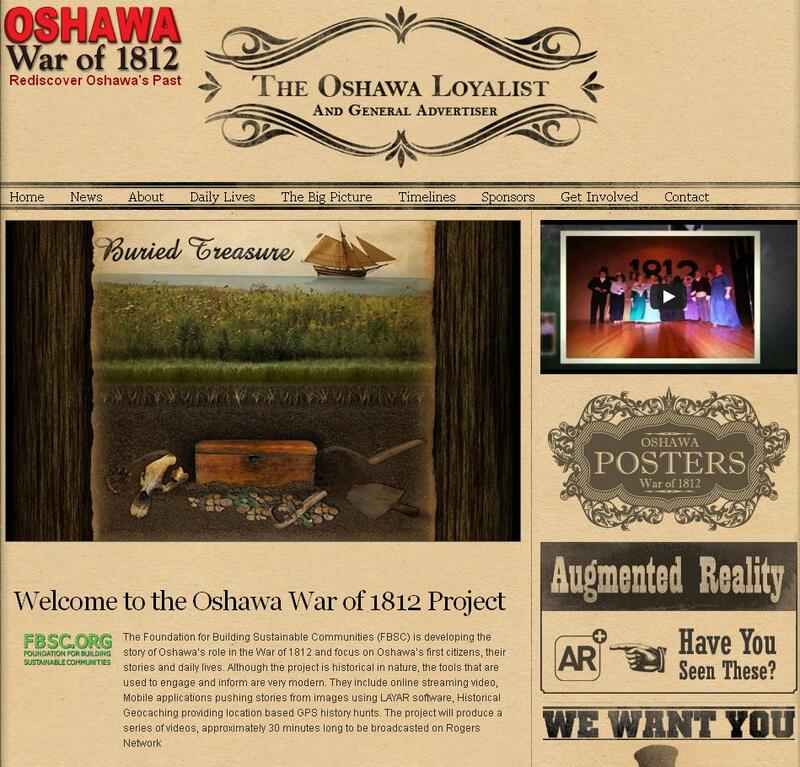 Our current projects include the War of 1812 Oshawa Project and the Korean War Comic Book. Both projects use creative methodologies to reach new audiences in order to turn them on to lessons learned from appreciating history, especially people with a limited attention span. Each of the technologies implemented is a result of collaboration amongst and between various groups who share the same vision. The choice of WordPress was an easy pill to swallow given the availability of widgets and plugins that permit a wide range of tools to enhance the website. One of Canada’s premium WordPress designers, Digital Deceptions, created the look and feel of the site and this gritty look adds to the edgy approach to the war. This site is designed to be content-rich with video, pictures, slideshows and more. 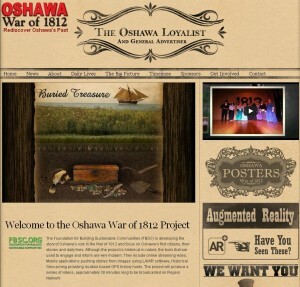 The creation of iPhone, iPad and Android mobile applications for the War of 1812 Oshawa, Historical Geocaching and the Victory Gardens are all free and available from the iTunes and the Google Play websites for people to download on their smartphones. These apps are free for anyone with an iTunes account or from the Google Marketplace. A collaboration with Imperial Arts Productions has researched and created the first chapter of the Korean War comic book based upon the local stories of Korean War veterans. Shawn Martins and Ken Morgan are the creators and artists for the project. The inspiration for the project comes from a former Korean veteran who saw a real need to have illustrative tools to reach children and youth during school presentations about the war. The comic book design goes beyond the standard comic book by utilizing Augmented Reality and a software called LAYAR. The reader will notice that specific panels will contain a LAYAR logo. When this appears the reader can scan the page with their smartphone with the appropriate LAYAR software application, and they will be able to view a short video of a veteran speaking about their experience as detailed in the comic book. Old radio or newsreels can also be embedded into the comic book using this technology, which enhances the end user experience. To hear about some of the stories that go with the technologies, you can listen to an interview with Glenn McKnight and Bob Bell on Sean Graham’s History Slam podcast. Glenn McKnight is a member of the Foundation for Building Sustainable Communities (FBSC), an Oshawa-based not-for-profit. Its newest initiative is “Rediscovery of Oshawa’s Past: Sharing of War of 1812 Stories.” FBSC is a proud recipient of the Heritage Canada Commemorative Fund, which is sponsoring various projects across Canada to help Canadians learn the significance of the War of 1812. Love the geocaching project! We were part of a similar project in New Brunswick with the March of the 104th Geotour! We had a gentleman from Alberta complete the tour and wrote as a wonderful account of his adventures that we shared on our Facebook page. Geocaching is a great way to engage in history!